Notre Dame political scientist David Campbell and Robert Putnam, co-authors of American Grace: How Religion Divides and Unites Us will discuss their new book at 7 p.m., Wednesday, October 13 in Washington Hall at the University of Notre Dame. The presentation is free and open to the public. Drawing on the two most comprehensive surveys ever conducted on religion and public life in America, as well as a dozen in-depth portraits of diverse congregations, American Grace examines the complex interaction of religion and politics over the past half-century, showing how religion both contributes to and detracts from the vibrancy and stability of American democracy. Campbell and Putnam debunk myths and offer groundbreaking findings, including the growing “God gap” in American politics between the highly devout, who overwhelmingly align with Republicans, and the less religious, who generally support the Democrats. The third largest “religious” group in America is made up of the 17 percent of the population that has no religious affiliation at all—and who outnumber America’s longtime majority of mainline Protestants, who now comprise 14 percent of the population. The John Cardinal O’Hara, C.S.C. Associate Professor of Political Science at Notre Dame, David Campbell is the founding director of the Rooney Center for American Democracy and the acclaimed author of Why We Vote: How Schools and Communities Shape our Civic Life, and editor of A Matter of Faith: Religion in the 2004 Presidential Election. 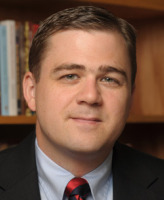 An expert on religion, politics, and public policy, Campbell has been featured in The New York Times, USA Today, NBC News, CNN, and NPR, among others. Called “the most influential academic in the world today” by The Sunday Times of London, Robert Putnam is the Peter and Isabel Malkin Professor of Public Policy at Harvard University. He is author or co-author of 10 previous books, including the bestselling Bowling Alone: The Collapse and Revival of American Community, and Better Together: Restoring the American Community. Putnam has worked with various world leaders on this theme of social connectedness, and his writing has appeared in The New York Times, Los Angeles Times, The Washington Post, The Economist, and USA Today, among others.